In the first half of the 1980s Soviet politics revealed an astonishing paradox: the frail and ailing supreme leader seemed to be the key to ensuring the stability and strength of the system. A brutal and tyrannical leader like Stalin was no longer required to maintain the regime. The “cult of personality” gave place to a “cult without personality” and a nominal leader, who ensured bureaucratic consensus by showing due respect for the rights and privileges of the party elite. 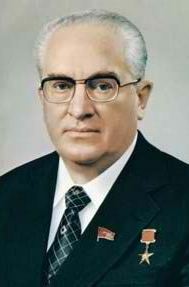 The advent of the more activist and strong-minded leader Yuri Andropov (1914–84), who succeeded Brezhnev in 1982, sent shock waves through the system, threatening to undermine its conservative foundations. However, his tenure was too short to effect any lasting change: in February 1984 Andropov himself died. 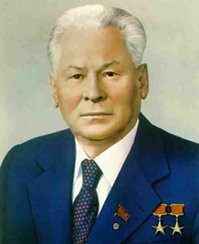 His brief era at the top of the Soviet system led to an even shorter interlude under Konstantin Chernenko (1911–85). His accession was hailed by extreme conservatives in the Soviet leadership as a return to the cherished certainties of the Brezhnev era. Indeed, Chernenko seemed to fit perfectly the system in the final phase of decay: senile and physically frail, he did little more than stand as a figurehead for a year. In March 1985 he died. By then it was clear that the Soviet Union had come to the point when reform could no longer be postponed. Its legitimizing doctrines, institutions, and decision-making procedures were hopelessly outdated. The bankruptcy of the neo-Stalinist system of government was obvious to any unprejudiced observer. The dominance of the military leaders, central planners, and ideologists in determining priorities was called into question. The institutions and groups affiliated with traditional policies were damaged by the policy failures of the strategies they advocated (for instance, mistakes of the military in relation to the policy toward Afghanistan). Finally, the old Leninist ideology seemed no longer capable of incorporating the broad masses of the population into the Communist project. PREVIOUS GO TO "GORBACHEV'S PERESTROIKA"